The paper is concerned with think aloud (TA) research. 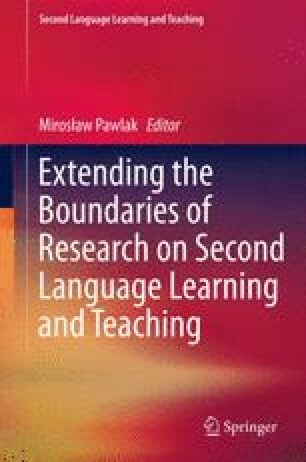 The author argues that think aloud is exposed to invalidity of data collection stemming from the need to verbalize on the text read. The concrete strategies often used by respondents and considered here to be, at least to a certain extent, method-induced were altogether denoted as text-recounting strategies, and include: paraphrase, restatement, translation, summary and reading aloud. It is argued that a researcher using the TA method should not uncritically code and quantify these strategies as aspects of the reading comprehension process, as they may be stimulated more by the need to verbalize than by the fact that readers need them to understand a written passage. The paper looks critically at reading comprehension data provided in several TA reports and re-analyzes the statistics originally quoted in the reports in order to indicate the possibility of the occurrence of the method effect. The article also reports the author’s research concerned with the extent to which text-recounting strategies appear in different varieties of TA protocol. The kinds of think aloud investigated were: (a) unprompted protocol, in which respondents provide verbalization concurrently with reading and decide on their own when and what to verbalize, (b) prompted protocol, stimulating respondents to verbalize after each sentence, and (c) the newly introduced and so called here read and think aloud protocol, asking respondents to verbalize both their reading and thinking. It was shown that the frequencies of text-recounting strategies occurrence differ across think aloud varieties, which points to the existence of text-recounting method effect in the reports.